If you or your company will do business in Texas under a name other than your legal name, or the business name on file with the secretary of state, then you will be operating under an "assumed name," also known as a fictitious name or DBA, which stands for "doing business as." The state requires a simple filing before you can begin operations under an assumed name. Obtain a blank Form 503, Assumed Name Certificate. The forms are available from the Texas Secretary of State, or by downloading and printing a copy directly from the Internet. You or a legal representative -- such as an attorney or registered agent -- may fill out the form. Complete items one through four. You will need the proposed assumed name; the legal name of the entity or individual filing the certificate; your type of business organization -- that is, sole proprietorship, partnership, LLC, etc. ; and any file number, if one exists, assigned to that business by the Texas Secretary of State. Complete items five through seven with the following: the jurisdiction of your main office, whether it's in Texas or not; the office address of that location; the office address of your principal location in Texas, if your main office is not in Texas. Complete item eight with foreign address information, if necessary, according to the instructions that come with the form. Complete item nine, the duration of use of the assumed name -- the maximum duration is 10 years. Complete item ten, naming the county or counties in which the assumed name will be used. Sign and date the form. The signature may be that of the individual operating the business or a legal representative of the business. Return the form with the $25 filing fee to the Secretary of State, P.O. Box 13697, Austin, TX 78711-3697. Also file the certificate with the county clerk in the county where you have your principal place of business, or registered office in Texas if your principal place of business is outside the state. Clerk's fees for such filings vary by county. For many customers, your business name is the first point of reference they have with regard to your company. 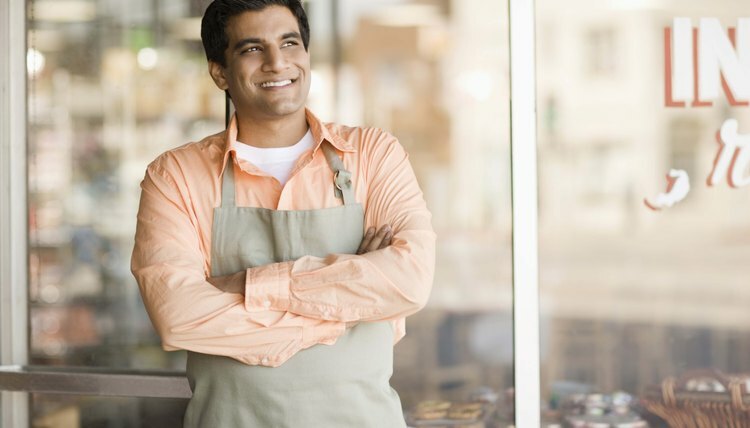 Leave a good impression, and you could be well on your way to making a lifelong customer. Give a bad impression, and that person might never give your business a chance. How you register the name of your business depends on the type of name you're registering. Sole proprietorships are a common business structure because they are relatively simple to set up, and provide for flexibility in management. Generally, business formation and registration is handled by the secretary of state's office, while local offices handle business name registration and local licensing. A sole proprietor does not have to register or file formation paperwork if the business is filed under the owner's name. There are specific filing requirements, however, for sole proprietorships doing business in the city of Charlotte, and for sole proprietorships that use an assumed name, hire employees or collect sales tax.